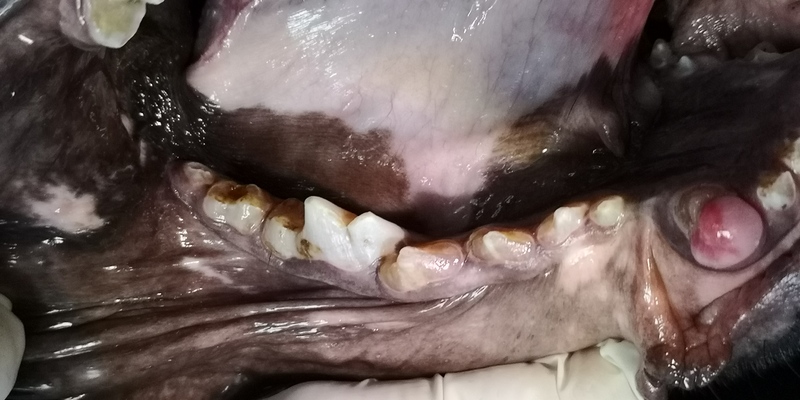 Hera, a 10 months old female Cane Corso, was presented on the 15th of October 2018 for a dental consultation. 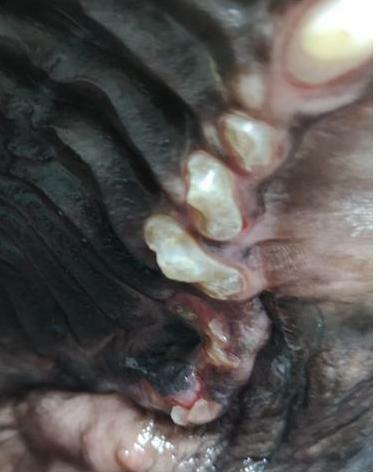 She had pink teeth, a strong halitosis, „wasn’t eating like she used to” and showed signs of pain (didn’t let anyone touch her mouth or look at her teeth). 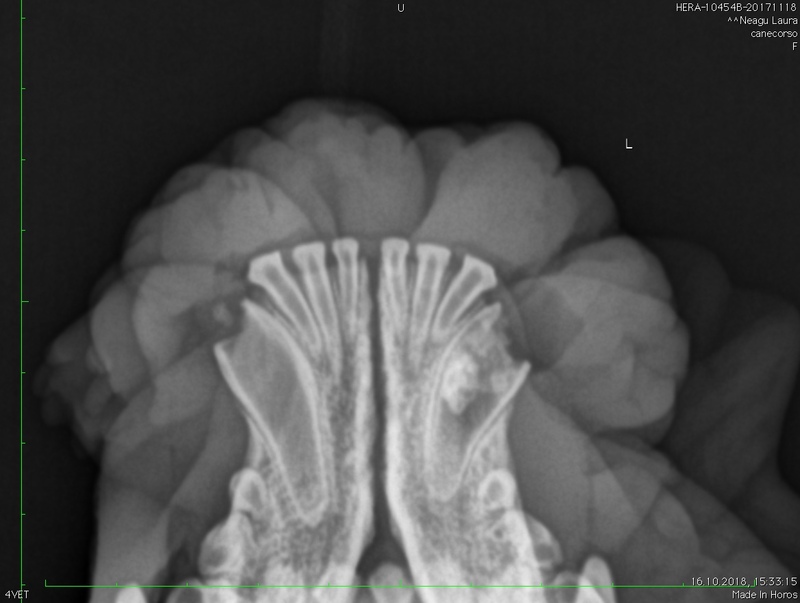 X-rays showed a very large pulp cavity in all teeth, very thin dentin and enamel, crown fracture with pulp exposure in 304 and 404 (Image 2), but also an abnomal density of the cortical bone in the mandible (Image 1) . 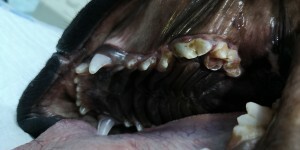 The owner reported that the deciduous teeth were pink too. 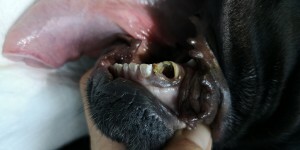 The dog previosly had 2 surgeries in both elbows in another clinic (bilateral elbow dysplasia). Hera is also blind with both eyes (there is no vascularization in the eyes). Antibiotics (amoxicillin with clavulanic acid 20 mg/kg/12 h) and analgesia (meloxicam 0.1 mg/kg/day) were immediately started and the patient was scheduled for a dental procedure a week later. 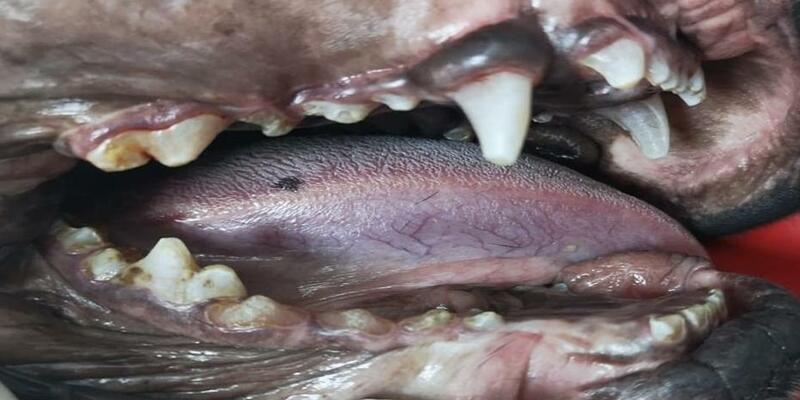 CBC and routine biochemistry were normal. 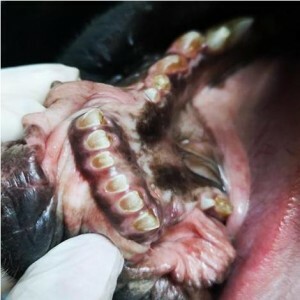 The dental examination under aneshesia revealed 6 crown fractures with pulp exposure (109, 110, 209, 210, 304, 404). 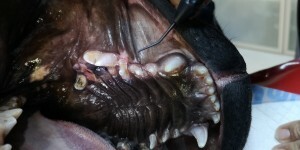 We extracted these teeth and tried to seal with the remaining ones. The dental extractions were very difficult, but the healing was good (as you can see in the images from the second dental procedure). At this first dental procedure (Images 4 – 11), we took a blood sample to see what were the vitamine D3, calcium and parathoyroid hormone levels. 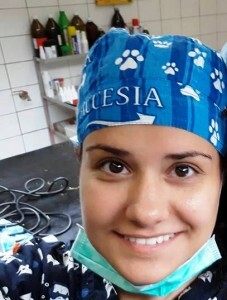 When results came, we found out that Hera had hypoparathyroidism (PTH level was 1.2 pg/ml, almost 16 times lower then the physiologic range) and recomanded a thyroid ultrasound, which is not availiable unfortunately. Also Vitamine B12 was low, so the patient recieved treatment for that too. 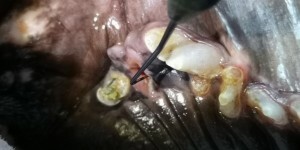 After the first procedure, the recovery was fast, the dog started to eat the next day, but only very soft food. 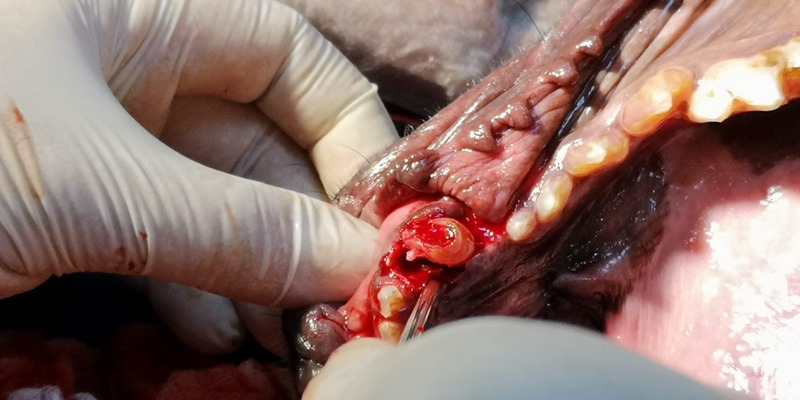 The second dental procedure (Images 12 – 16) together with the ovariohysterectomy took place on the 23rd of February 2019, when we performed extractions of 208 and 209 retained roots and full 405 was extracted for histopathological examination (that will be performed at Histovet by Dr. Teodoru Soare). The recovery was even better than the first one. 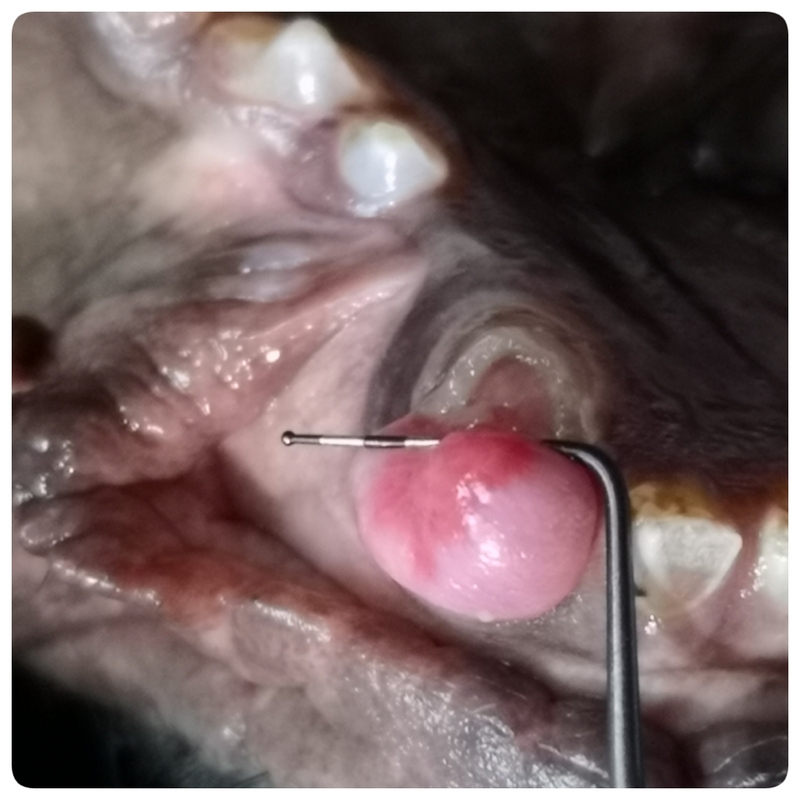 Hera received clindamycin 11 mg/kg/day, 7 days and meloxicam 0.1 mg/kg/day, 4 days. 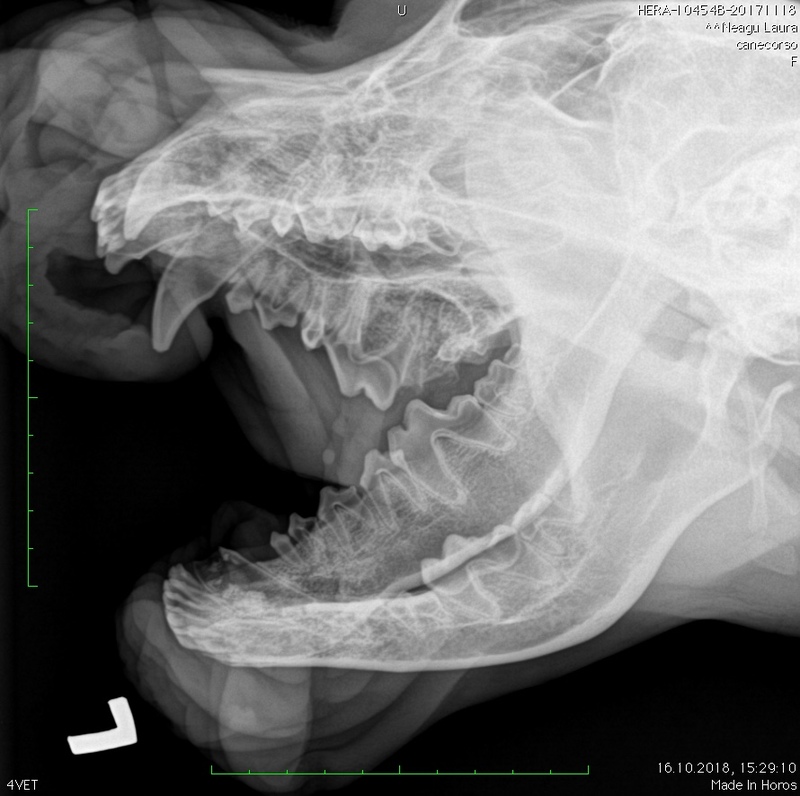 Unfortunatelly, because a second set of radiographs were not available for this dental intervention. The dental pathology of this patient might be a very rare congenital dental condition called „shell teeth”, in which teeth have large pulp chambers and insufficient coronal dentin. The treatment of this dental disease is full mouth extractions, but given the very high level of difficulty of the extractions, we chose to extract only the fractured teeth. It may be a consequence of a congenital hypoparathyroidism, which would also explain the other pathological signs (blindness, bilateral elbow dysplasia). 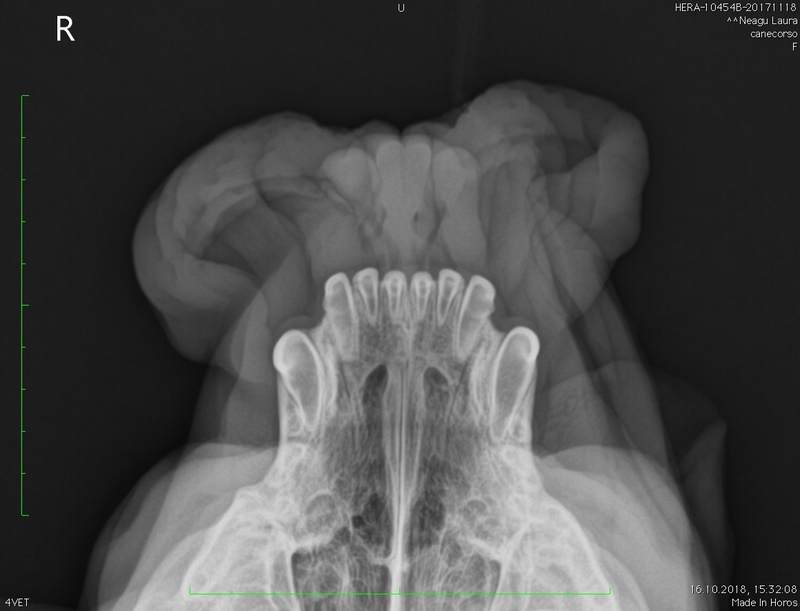 Hera is a very interesting case with high didactic value. 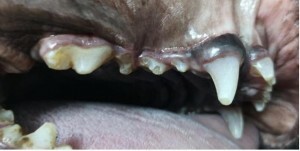 She remains supervised for evaluation of her clinical evolution. 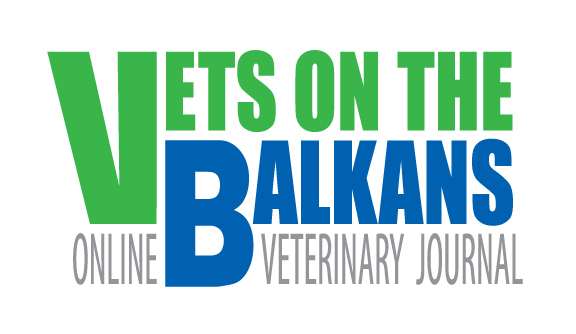 Both interventions took place at QincyVet and were performed together with Dr. Raluca Zvorasteanu.